Printing the following PDF files onto some full sheet stickers available at most any office and department stores will solve all those problems. 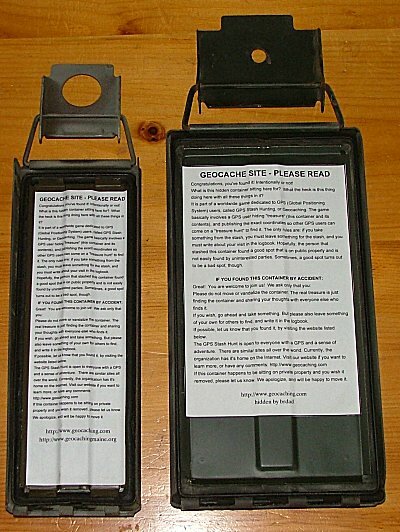 Each file prints two stickers per page and once attached to the top inside cover of your ammo box, the stash note is there for good, and visable as soon as the ammo box is opened. For extra durability, I like to spray paint over the note with some clear polyurethane. Make sure the ink has time to fully dry or the polyurethane may make the ink run.